1. What type of business entity may I choose to pursue an economic activity in Poland? In Poland, one may pursue an economic activity in many ways, each of them having their characteristics.The choice of a company's structure is very important and needs to be carefully analysed, taking into consideration plans and conditions presented by a person that wants to start his economic activity.To give you a picture of the variety of possibilities available in Poland, some basic types of business entities have been presented below. Self-employment is the simplest organisational form.The only requirement which needs to be met to become self-employed is to reach majority age. Then, you need to file a motion to be registered in Centralna Ewidencja i Informacja o Działalności Gospodarczej (Central Registry and Information on Economic Activity).An individual entrepreneur is liable under his/her obligations with all property. Americans who want to start their trade activity in Poland, additionally need to present a positive opinion of the Minister of Economy. A partnership is a combination of at least two business activities pursued by two self-employed individuals.A civil-law partnership is not a separate entity, but a combination of several individual entrepreneurs who are liable under their obligations with all their property.To form a civil-law partnership, one does not need to accomplish many formalities, an agreement between entrepreneurs to form a civil-law partnership is the most important. In the Code of Commercial Partnerships and Companies a registered partnership constitutes a basic example of the so-called partnership, it being a separate subject of rights and duties, whose partners are liable for obligations of the company with all their assets, jointly with the partnership. A registered partnership has to be registered in the National Court Register. A professional partnership is another example of a partnership which is formed by persons authorized to practise the following professions: advocate, pharmacist, architect, expert auditor, insurance broker, tax consultant, accountant, physician, dental surgeon, veterinary surgeon, notary, nurse, midwife, legal counsel, patent agent, property expert and sworn translator.There is the possibility of separating liability between the partners so that one partner doesn't have to bear liability for actions or failure to fulfill the obligations by another partner. A limited partnership is a form of a partnership in which at least one partner (general partner) has unlimited liability towards the partnership's creditors and at least one partner (limited partner) has limited liability.Such partnerships are usually created in order to allow for the enlargement of an enterprise by accepting new partners to become limited partners. A partnership shall be represented by a general partner, who is its main partner, but limited partners may also participate in the running of the partnership, represent it as proxies, but above all, they participate in the generated profits and they are liable for partnership's obligations up to the value of contribution made to the partnership. A limited joint-stock partnership is the least frequent type of a partnership in Poland.The main difference in comparison to a limited partnership is that in the limited joint-stock partnership a limited partner is a shareholder to whom the provisions on a joint-stock company shall apply accordingly. This specific form aims at allowing the partnership to raise its capital by issuing shares which may be admitted to trading on the market. A limited liability company is the most popular form among all types of commercial companies due to the fact that shareholders shall not be liable for the obligations of the company.This type of a company may serve for almost all economic purposes, it must be registered in the National Court Register and its construction may be very simple.This type of a company, unlike a joint-stock company, may be effectively protected from changes of owners. A joint-stock company is the most complex form of the enterprise and its initial capital shall be no less than PLN 100 000.A joint-stock company is a separate and an independent legal entity, it must have its own management board and a supervisory board and do not have the privilege of the so-called single-entry bookkeeping.A joint-stock company is formed in order to attract capital from outside, it's usually a stock exchange. 2. How to register one's economic activity?Is it possible to register one's economic activity by a proxy? Each form of an economic activity is formed in a different way.To become self-employed one normally needs to file an application to Centralna Ewidencja i Informacja o Działalności Gospodarczej (Central Registry and Information on Economic Activity).Other forms of economic activity require agreements between partners or shareholders and need to be registered in the National Court Register.In the case of some partnerships or companies, articles of association have to be prepared by a notary.Documents which are necessary when forming a partnership or a company include a passport and a circular of signature certified by a notary (which in Poland is necessary to open a company's bank account).Declarations of entities representing a company, e.g. on transferring to the company means indicated in the articles of association, will only be needed after signing a company's deed. All formalities necessary to start an economic activity may be accomplished by a proxy, you only need to provide an appropriate power of attorney, which in some specified cases will have to be certified by a notary. 3. May I register a sole-shareholder (there will only be one partner) limited liability company?May I register such a company by means of a proxy? Yes, a limited liability company may be registered by one person.The only condition when forming a limited liability company is that it may not be formed by another sole-shareholder limited liability company as the single promoter. A limited liability company may be registered by a proxy, however, a power of attorney has to be drawn up in the form of a notarial deed, which in turn has to be certified with an apostille. 4. Does the registered seat of a limited liability company have to be in Poland?May the company have its branch offices abroad? If a limited liability company is supposed to be formed in accordance with the provisions of the Polish law, it has to have its registered seat in Poland.Limited liability companies having their registered seats abroad may have their branch offices or agencies on the territory of the Republic of Poland.If this is the case, such branch offices or agencies will have to undergo a registration procedure which is very similar to the procedure of forming a limited liability company.The same rules apply to a Polish limited liability company which may have its branch offices or agencies abroad. 5. What is the liability of a limited liability company shareholder? The shareholder of a limited liability company shall not be liable for the obligations of the company.Shareholder's only risk in the case of a company's insolvency is the loss of value of his shares or if this value is lower than the value of contributions made into the company for covering shares - the loss of value of these contributions. It needs to be noted that shareholders of a limited liability company are very often members of the management board.As a result, a member of the management board may be liable for the obligations of the company with all his assets if execution against the company has proved to be ineffective.A member of the management board may extricate himself from this liability, by showing that a petition for declaration of bankruptcy was filed or arrangement proceedings were instituted in due time, or that the failure to file a petition for declaration of bankruptcy or institute arrangement proceedings was not due to his fault, or that the creditor suffered no damage even though no petition for declaration of bankruptcy was filed or no arrangement proceedings instituted. The evaluation of evidence is rather long and it's a member of the management board that has to prove his innocence and thus before deciding whether to become a member of the management board of a limited liability company, one has to analyse its financial condition. 6. What is the liability of a self-employed person? A self-employed person is held liable for obligations of his/her enterprise with all assets.A bailiff may search for property in Poland and abroad. 7. How to sue a debtor who is in Poland?Do I have to come to Poland? 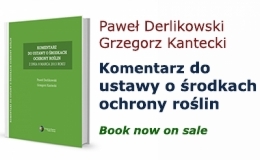 In Poland, the content of the claim determines the way court proceedings are conducted.As far as the proceedings referring to the payment of a given amount are concerned, the presence of the plaintiff is not mandatory, although the court may order the plaintiff to be present.In the case of civil law proceedings, particularly those related to succession law or family law, the presence of the plaintiff is usually mandatory.The rule is that a petition is filed to the court that has jurisdiction over a defendant's domicile or a debtor's seat.In any of the above-mentioned proceedings, the plaintiff may be represented by an attorney. 8. How to buy a limited liability company in Poland? Before buying a limited liability company the most important thing is to conduct legal and accounting analysis. Sometimes a company may be indebted, covered by third party rights, listed either in the register of debtors or as an unreliable entrepreneur, which will make public procurement impossible.The very acquisition of shares is a technical activity and it requires providing signatures certified by a notary either in Poland or in the USA.An appropriate share acquisition agreement is extremely important for a buyer. 9. How to establish a foundation or an association? A foundation is an independent entity that may be established to accomplish objectives that would be in compliance with basic interests of the Republic of Poland and socially or economically useful, particularly objectives such as:health protection, economic and educational development, education and training, culture and art, social care and social welfare, environmental protection and preservation of monuments.Foundations may be established by natural persons, regardless of their nationality and domicile, or by legal persons having their registered seats in Poland or abroad.A declaration of intent to establish a foundation shall be drawn up in the form of a notarial deed.A notarial deed is not required if a foundation is established by one's last will.A foundation's basic document is its statute, which governs foundation's activity.Foundation's assets may be used exclusively to accomplish objectives specified in the statute.A foundation may be registered by a proxy.A foundation has to be registered in the National Court Register. An association is a voluntary, autonomous, fixed organization with non-profit purposes. An association specifies its objectives, program of activities and organizational structures and adopts internal acts concerning its activity.An association conducts its activity mostly based on the voluntary work of its members. Foreigners domiciled on the territory of the Republic of Poland may start an association in accordance with rules that are binding for Polish citizens.Foreigners who are not domiciled on the territory of the Republic of Poland may only become members of associations whose statutes provide for such a possibility.Fifteen members are required to start an association . An association's basic document is its statute, which governs association's activity.Association's assets may be used exclusively to accomplish objectives specified in the statute.An association may be registered by a proxy.An association has to be registered in the National Court Register.